The single-track automation workflow is for simple and automated workflows. After a [Subscription], [Purchase of an item] or at predefined dates in the [Calendar] the workflow is triggered. One or several emails are sent. A new feature is the [TAG based] start. The workflow is triggered, when a recipient subscribes to a certain list - via a specific form or any form for this list. Click on  (1) to determine the list and the form. Click on[edit time] (2) to determine when you want the first email to be sent. Choose between hours and days. 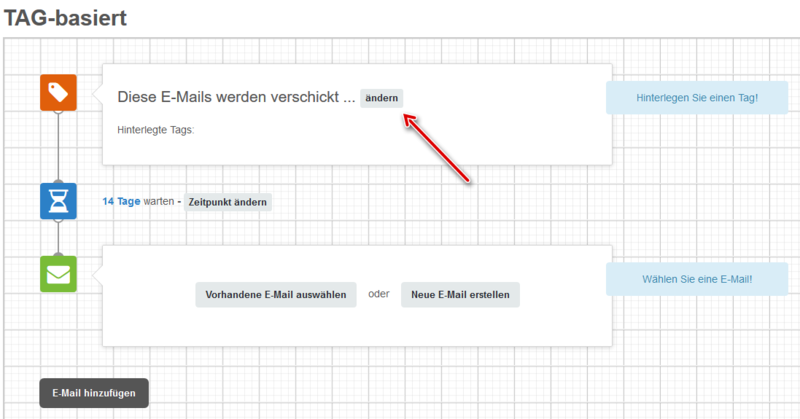 Click on [Select existing email] or [Create new email] (3) to determine the email you want to send. 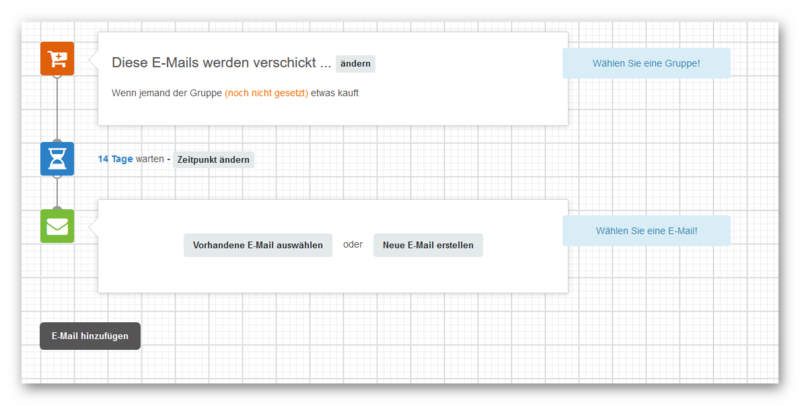 If you want to send further emails one after the other click on[Add email] (4) to add another email. Click on  to determine the time for the automation to start. Let the automation start daily, in a certain calendar week, monthly, on a certain day of the week or predefined dates. Click on the gearwheel icon to select the list you want to send the mailing to. 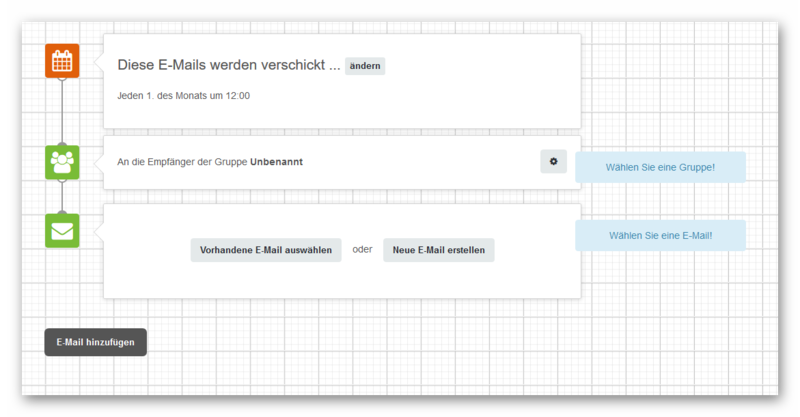 Click on [Select existing email] or [Create new email] to determine the email you want to send. If you want to send further emails one after the other click on[Add email] to add another email. Click on to determine the list and purchases when the emails should be sent. The Automation can respond to all purchases or to purchases where the product name contains terms that you define. The TAG based start always triggers when your particular TAG is automatically or manually added to the recipient. Just click on  as shown in the screenshot to determine the tag that triggers the workflow. Click on [inactive] (6) to activate the automation and confirm the security check. Every Automation can be switched to the multi-level workflow. Please note that this cannot be undone. Click on „Multi-level Workflow“ to switch.